Byrne's law enforcement career at CPSO spanned from 1975 through 1987 where he served as a radio dispatcher, patrolman, supervisor, and detective. 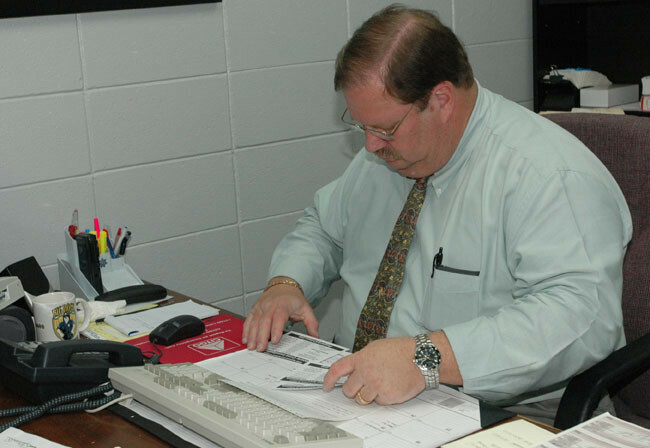 In 1987, he became a felony investigator for the Calcasieu Parish District Attorney's Office where he remained until 2000, the year he returned to CPSO to hold his current position. 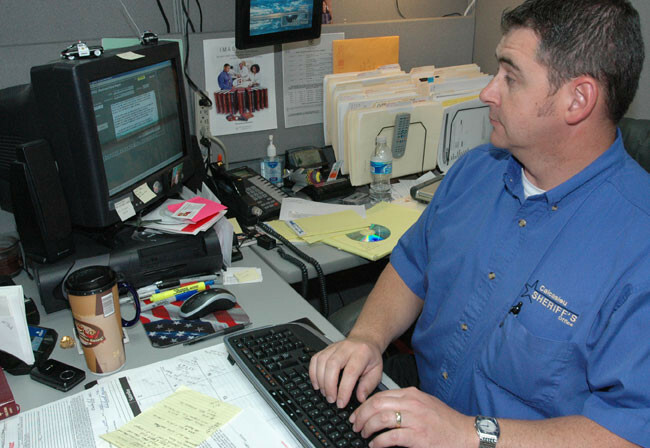 Throughout his law enforcement career, he has attended many law enforcement related schools and seminars. These include crimes involving felony assault, and homicide. This section investigates offenses involving adult sexual assault and physical and sexual exploitation of children. These include crimes involving juveniles and domestic abuse. The State of Louisiana established the Crime Victims Reparations Act for the payment of compensation to the victims of certain crimes. Income for this fund is derived from monies paid on criminal court costs. Funds are supplemented by federal grants, court-ordered restitution from criminals, donations, and interests. There are application requirements for this program. What is reimbursable and non-reimbursable can be discussed or a brochure will be mailed to you upon your request. 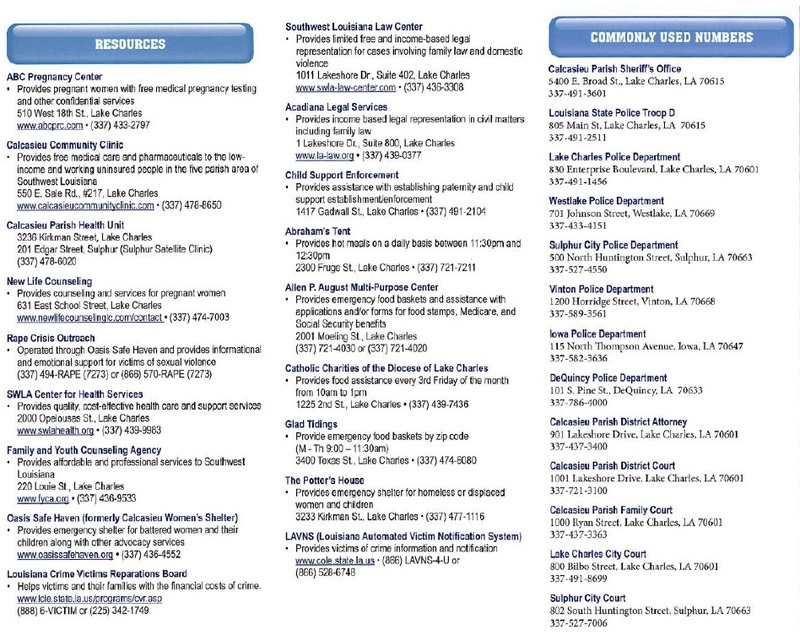 The State CVRA board is located in Baton Rouge and can be reached at 1-888-6VICTIM (in state only). 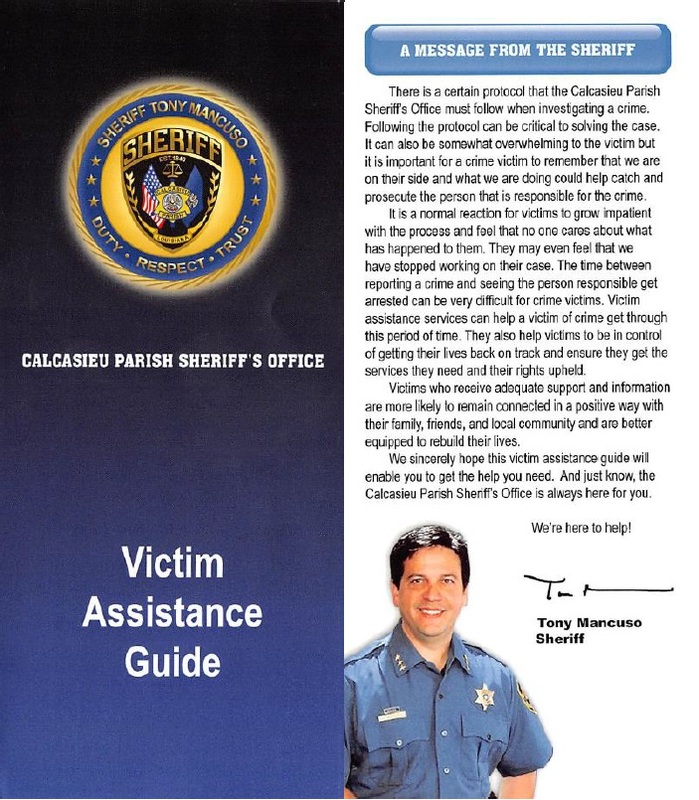 The Calcasieu Parish Sheriff's Office Victim Services Unit submits requests to the state CVRA board for authorization of funds. You are a victim of a violent crime. You are the victim's legal representative (his attorney or person legally responsible for the expenses). You are the victim's dependent. A claim may be filed regardless of whether the offender is known, has been arrested, and / or has been found guilt. Result in expenses allowed by the statute and not reimbursable from any other source. The victim of a DWI driver. The victim of a hit and run driver. crime in which he knowingly participated. The victim whose injuries were intentionally inflicted with a vehicle. Some of the expenses that can be covered include: medical, hospital, dental, mental health counseling, funeral, loss of wages / earnings, catastrophic loss of your home by arson, and expenses associated with the collection of crime scene evidence. Most victims of crime will need some type of assistance dealing with the aftermath of crime, whether it is going to court, paying medical bills, obtaining information or just moral support. 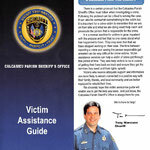 This is the time the Victim Assistance personnel will be valuable. They are available at any time. 1841. Legislative intent: "in recognition of the civic and moral duty of victims of crime to cooperate fully and voluntarily with law enforcement and prosecutorial agencies, and in further recognition of the continuing importance of such citizens cooperation to state and local law enforcement efforts and the general effectiveness and well-being of the criminal justice system of this state, the legislature declares its intent, in the Chapter, to ensure that all victims and witnesses of crime are treated with dignity, respect, courtesy and sensitivity, and that the rights extended in this Chapter to victims of crime are honored and protected by the law enforcement agencies, prosecutors, and judges in a manner no less vigorous than the protection afforded the criminal defendants." f) expeditiously investigating all reports of missing children and inform family members of such children of the status of the investigation. To reduce crime in designated areas as predicted by crime trends or patterns established through modus operandi. This will be accomplished by coordination of intelligence information gathered by patrol, narcotics, vice, and detectives. 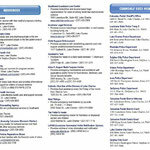 Assist analysis of crime trends through the criminal element by means of modus operandi. This will come by use of comparison with offense reports, also field intelligence reports, field intelligence cards, etc. to reduce crime within an area or apprehend perpetrators with the predicting crime tends; reduction of manpower. Maintain an information filing system for Criminal Intelligence Unit. Maintain a high degree of confidentiality with all information received regarding investigations being conducted including, but not limited to, interviews, suspects, witnesses, evidence, confidential informants, surveillance, special cases, or any other duties carried out by unit. Prepare communications to other departments within the Calcasieu Parish Sheriff's Office or other law enforcement agencies whether local, state, or federal.